When a workplace accident leaves you too injured to perform your former job duties—or results in a permanent disability—you may be entitled to vocational rehabilitation counseling as part of your workers’ compensation benefits. You would meet with a counselor who could help assess your job skills, limitations in your abilities to work due to your injuries, and job training that may be required for you to make a career change. Your counselor can also help in your workers’ compensation case to prove the extent of your disabilities and your future job prospects. However, you may not be the only one in your workers’ compensation case using a vocational rehabilitation counselor. Your employer’s insurance company may also retain a counselor to help them deny or reduce your workers’ compensation claim. Why Would Your Employer Want You to Meet With a Vocational Rehabilitation Counselor? The workers’ compensation insurance company may require you to meet with their vocational rehabilitation counselor or even to work with him on an ongoing basis. This person’s goal would be to offer an opinion that you can return to your former job or a comparable one as soon as possible to save the insurance company from paying you workers’ compensation benefits. 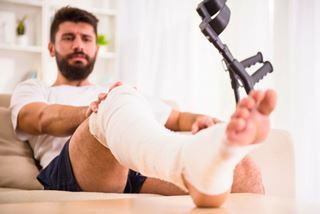 He may ignore the recommendation on job restrictions provided by your treating doctor and instead rely on the opinion of the insurance company’s doctor who may or may not have even assessed your injuries. He may also claim that you can do light duty or sedentary duties that you really cannot perform either because of your injuries, your education, job skills, or job history. The vocational rehabilitation counselor could act as an investigator for the insurance company, looking for information provided by you that hurts your claim. The insurance company could also use this person as an expert in your workers’ comp case to establish that you can return to work or that your injuries do not limit you in the ways you claim. Because of this, you need to be very cautious when communicating with this person. Bring your attorney to your appointment. You may want to bring your workers’ compensation attorney to your first appointment. He can make it clear that he expects the counselor to follow the rules regarding vocational rehabilitation and avoid the counselor suggesting that you apply for jobs that you cannot perform—common in this situation. In addition, some counselors try to wear down workers’ comp claimants in an effort to get them to settle their claims for less than what they are owed, which they would refrain from doing if an attorney is present. If your lawyer does not feel the need to attend the appointment, he can give you guidelines for how to handle yourself during your meeting. Do not make careless statements. You need to watch what you say during your interview. You want to avoid saying that you will refuse to apply for certain jobs due to the low pay or that you will not apply for any jobs. This can be perceived as a refusal to cooperate and could be grounds to terminate your workers’ comp benefits. In addition, do not exaggerate your injuries or limitations because this could make you a less credible witness and be used against you later at workers’ comp hearings. You also want to avoid overly optimistic statements about your health and your abilities. Do not make statements like “I was not hurt that badly.” Also, do not agree to try a task, such as climbing a ladder, that you know you should not attempt because of your injuries. Meet at a neutral place. You do not have to let the vocational expert in your home. Arrange any appointments at a public place, such as your attorney’s office, library, or restaurant. Keep in touch with your attorney. If you are required to continue meeting with this vocational rehabilitation counselor, keep in touch with your attorney about your meetings, job offers, and any vocational rehabilitation program offered. He can give you advice on whether you should accept a job offer and what to do if the rehabilitation program being suggested is not one that meets your needs. Return to work when you can. While you should not jeopardize your health by returning to your job too early, you want to resume working as soon as possible. You will make more income by working, which can help your mental outlook and your family as well as your overall financial situation. In addition, you strengthen your workers’ compensation claim by showing that you returned to working as soon as you could.